If you want to experience a unique shopping in Branson, why not visit the Spice Agent in Branson and look for a spice to make your food look spicy and hot. This spice store in Branson delivers the freshest possible product for their customers. They grind fresh in house and built their own blends in small recipes so they do not lose flavour. And many of their blends were inspired by customer requests. You can shop by their store in Branson at 212 S. Commercial St., Branson, MO. You can also shop online by browsing through their web site. The specialty of Spice Agent is grinding fresh in house spices and custom blends. This gives customers the option to have no salt as well as healthier fresh dry ingredients to choose from instead of the limited old grocery store dead in the jar choices. Chris Poulos opened the Spice Agent store in 2011 in historic downtown Branson because he thought it would be a good market to sell to people with different nationalities. The Spice Agent has continuously produced quality spices based on customer needs and requests. Chris have spent the last ten years travelling and exploring little food shops around the country, that helped him to be inspired in opening a spice store. The St. Louis native is a first-time business owner who grew up in a family that loved to cook and made everything from scratch. His goal was to emulate a store he established in Chicago that sold wine, fresh baked breads, imported olive oil and cheese, but he couldn’t afford that model so he opened a spice because its an untapped market. When Chris was always looking for better quality spice after many years of cooking, having limited options, finding them dead in the jar, and spending too much money on grocery store shelves, that started the founding of the company. Now customers don’t have to worry asking where to buy Vietnamese cinnamon, truffle-infused sea salt, Szechuan peppercorns and wasabi powder, all these can be found at the Spice Agent in Branson. Chris is super knowledgeable about his products and helpful with ideas about how to use them. It's a must visit when you are shopping in Branson for spice. The Spice Agent showcases more than just jars of spices though — tables throughout the shop are neatly arranged to feature flavorful teas, dried mushrooms, extracts and oils, honey and agave, dried chili peppers, chili mixes, kitchen accessories and beautiful salt and pepper mills. This spice store is the perfect place for the every day cook to find fresh spices at a fair price, so make sure to stop by next time you’re in downtown Branson. While Chris carries many gourmet spices, he also stocks nearly 70 blends including a large selection of barbecue rubs, chili seasonings from Texas and house-made blends. 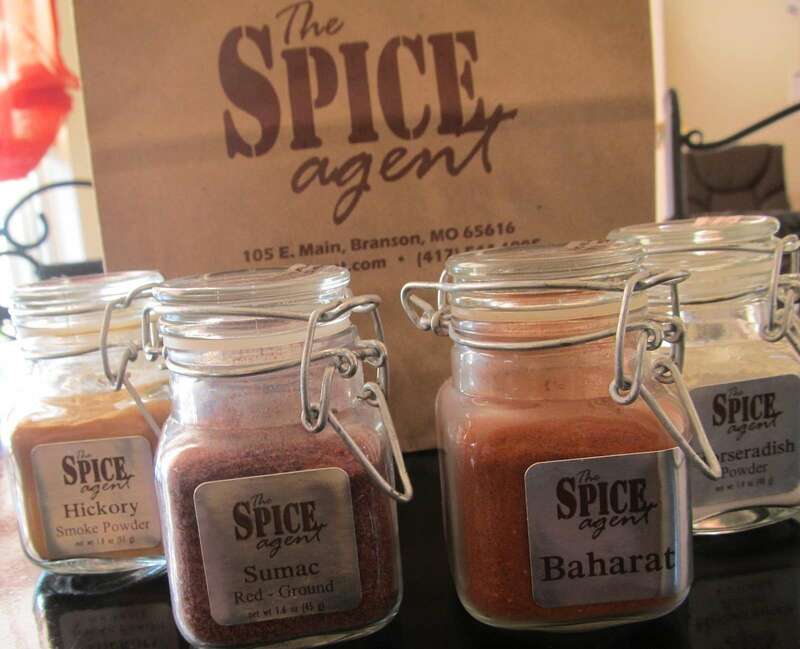 When you are shopping in Branson for spice, don’t forget to check out the Spice Agent as it offers the freshest possible product in town.